The entire universe is made up of different chemical elements. These chemical elements undergo a series of changes, and the process by which these chemical substances transform into another chemical substance is called a chemical reaction. Chemical reactions are an important aspect of our daily living. For instance, the process of burning fuel enables us to enjoy the comfort of riding a vehicle. This is made possible by chemical reactions that produce energy that can be utilized by the cars, trucks and transportation vehicles. In the food industry, a lot of food products are a result of chemical reactions. Some examples for these food and beverage products are beer, wine, cheese and yogurt. A chemical reaction called fermentation is responsible for creating these substances. Chemical reactions are also responsible for environmental changes. The process by which water evaporates and produces rain is a result of these chemical reactions. Natural disasters such as volcanic eruptions, landslides, earthquakes, and typhoons are a result of a series of chemical reactions that transform one element to another. Even the human body has chemical reactions within its organ systems that enables us to survive. Imbalances to these reactions can result in human illnesses. Chemical reactions take place because of chemical substances that are grouped into reactants and products. This article is written to explore the differences regarding these two substances. Chemical reactants are chemical substances that combine in order to form another compound. For example, water is made up of chemical elements such as hydrogen and oxygen. Another example is salt, which is made up of a combination of the chemical elements, sodium and chloride. These singular elements combine, or undergo a chemical reaction to form new chemical compounds. Aside from chemical elements, reactants may also involve more complex substances, such as compounds. For example, baking soda is composed of several elements namely, sodium, hydrogen, carbon and oxygen. It is formed by a chemical reaction between sodium hydroxide and carbon dioxide. Sodium hydroxide is a combination of sodium, hydrogen and oxygen. Carbon dioxide is a combination of carbon and two molecules of oxygen. When these chemical reactants combine, it results in the formation of sodium bicarbonate, or what is commonly known as baking soda. Chemists have a distinct way of writing these reactions in a chemical equation. Chemical equations are written in such a way that an arrow is directed to the final product of the chemical reaction. These equations also involve the use of other substances that were involved in the reaction. These are catalysts, enzymes, temperature, and other factors that can affect the interaction of chemical substances. In these equations, chemical symbols of reactants are placed on the left side of the arrow. As the name implies, chemical products are substances that are formed from chemical reactants. In the example mentioned in the previous section, the chemical product is baking soda. This is formed by chemical reactants composed of sodium hydroxide and carbon dioxide. Another example of a chemical product is water, which is formed by a combination of hydrogen and oxygen molecules, as mentioned in the previous section. In chemical reactions that involve a combination of atomic particles, the end product is usually more complex than reactants. On the contrary, chemical reactions that involve reduction of atomic particles tend to have less complex chemical products. These reactions usually dissolve the chemical bonds within compounds that were initially present. A good example of this process is seen in enzymatic processes. Catalase is an enzyme that is produced by certain bacterial particles. This enzyme is important in breaking down hydrogen peroxide into water and oxygen. This is the reason why bubbles are formed when hydrogen peroxide is applied on wounds. The catalase enzyme is present within the bacteria that contaminates wound beds. This results in the breakdown of hydrogen peroxide into the chemical products that were mentioned earlier. In chemical equations, chemical products are usually placed on the right side of the arrow. However, there are more complex chemical interactions wherein products may also turn into reactants. These chemical equations usually utilize two opposing arrows, which is indicative of chemical reversibility. Chemical reactions are an important part of life. This is the mechanism by which elements are transformed into compounds, and other more complex particles. Chemical reactions usually occur between substances that are referred to as chemical reactants. These chemical reactants undergo changes that results in the formation of a new substance, called the product. At the end of the chemical reaction, reactants are usually consumed and are transformed into a new substance. On the other hand, products are end points of chemical reactions, and they are produced at the end of the process. 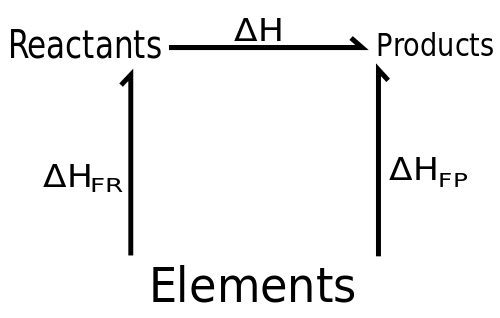 In a chemical equation, reactants are commonly placed on the right side of the arrow. In contrast, chemical products are placed on the left side of the equation. Marinelle Castro. "Difference Between Reactants and Products." DifferenceBetween.net. February 6, 2018 < http://www.differencebetween.net/science/difference-between-reactants-and-products/ >. water evaporating and turning into rain is NOT a chemical reaction. It is merely a change in physical state. THAT is NOT a chemical reaction. It is a physical change. Chang, R., & Goldsby, K. A. (2013). Chemistry (11th ed.). New York, NY: McGraw-Hill. Kotz, J. C., Treichel, P., Townsend, J. R., & Treichel, D. A. (2015). Chemistry & chemical reactivity (9th ed.). Stamford, CT: Cengage. Timberlake, K. C., & Timberlake, W. (2011). Basic chemistry. Boston, MA: Prentice Hall. West, K. (2014). The basics of chemical reactions. New York, NY: Rosen Publishing. Zumdahl, S. S., & DeCoste, D. J. (2015). Basic chemistry (8th ed.). Belmont, CA: Brooks/Cole, Cengage Learning.